Document Notes: Discusses the loyalty oath questions, segregation, operation of pro-Japan organizations at Tule Lake Segregation Center, coersion etc. 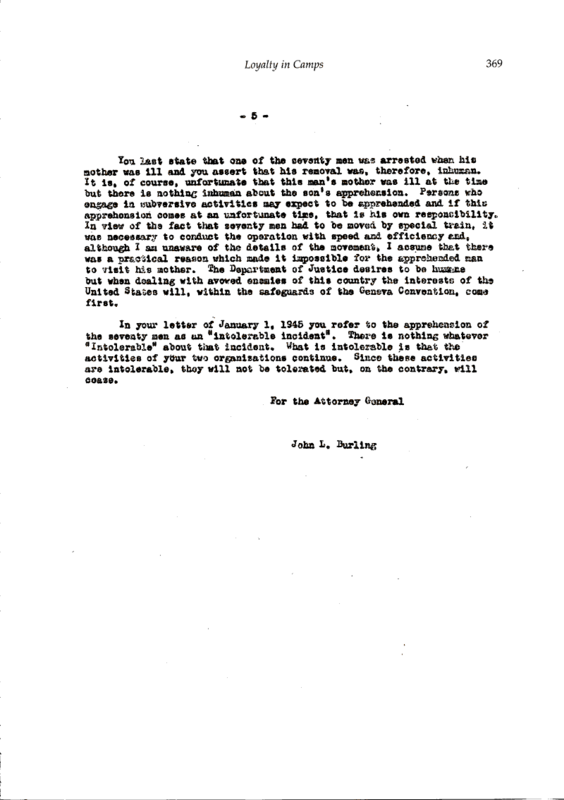 Included is the important letter from John L. Burling for the attorney general to the pro-Japan organizations petitioning for return to Japan to fight against the U.S. In this letter is a description of the types of activities that were going on with these disloyal and traitorous Japanese Americans, each of whom still liviing in 1988 received $20,000 and an apology.